Dunlap- Dorothy Kendall, age 90, of Dunlap, passed away peacefully at 3:36 PM on Tuesday, April 09, 2019 at her residence surrounded by her family. Born October 06, 1928 in Decorah, Iowa, she was a daughter to James J. and Dorothy (Marlow) Malanaphy. On February 14, 1953 she married John Kendall in Decorah, Iowa. He survives. Dorothy worked and co-owned Kitchen in the Woods, and later worked as a cook for Dunlap High School then Apostolic Christian Home. 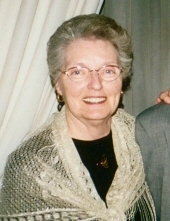 She was a devout catholic and active member of ST. Jude Catholic Church, Friends of Clonmehl, St. Patrick’s Society and was nominated for mother of the year for the Ancient Order of Hibernians. Dorothy was an avid Chicago Cubs fan, but her favorite past time was spending time with her family especially her grandchildren. She was a loving wife, mother, grandmother, great-grandmother, and sister who was dearly loved and will be deeply missed. Survivors include her husband John of Dunlap; five children: Colleen (Dennis) Koehler of Princeville, Gregory (Jannette) of Dunlap, John R. Kendall of Peoria, Stephen T. Kendall of Champagne and Cynthia Kendall of Chicago; 12 grandchildren and five great-grandchildren; one daughter-in-law Kathi Kendall of Mesa, AZ; two sisters: Mary Lou (Leo) Manning of Decorah, Iowa and Julia (LaVerne) Massman of Caladonia, MN; two sister-in-laws: Jannan Malanaphy of Decorah, Iowa and Jean Malanaphy of St. Paul, MN. Dorothy was preceded in death by her parents, one son Tom Kendall; two sisters: Margaret Martin and Joyce Lynch, and two brothers John Malanaphy and James Malanaphy. Visitation will be held on Friday, April 12, 2019 between the hours of 4:00 PM and 7:00 PM at Wright & Salmon Mortuary. A Mass of Christian Burial will take place on Saturday, April 13, 2019 at 11:00 AM at St. Jude Catholic Church with an additional visitation being held 30 minutes prior to mass. Father Patrick Henahan will officiate and burial will take place in Cottonwood Cemetery in Hanna City. Friends and family may sign the online guestbook or send private condolences by logging onto www.wrightandsalmon.com. "Email Address" would like to share the life celebration of Dorothy Kendall. Click on the "link" to go to share a favorite memory or leave a condolence message for the family.